Wilkris Appliance | appliance store that offers cheap and affordable installment plans: Cebu Sinulog 2011 partial Liquor Ban? Cebu Sinulog 2011 partial Liquor Ban? I got this news from GMA news website and I'd like to share this to you all. As the yearly Sinulog festival kicked off during the weekend in Cebu City, officials imposed a liquor ban of sorts in areas near the venues of the festivities. Radio dzBB’s Cebu affiliate reported Cebu City Mayor Michael Rama ordered the ban while preparations are ongoing. The report said Rama also banned brewing companies from selling liquor in places such as parks and sports complexes near the parade route. 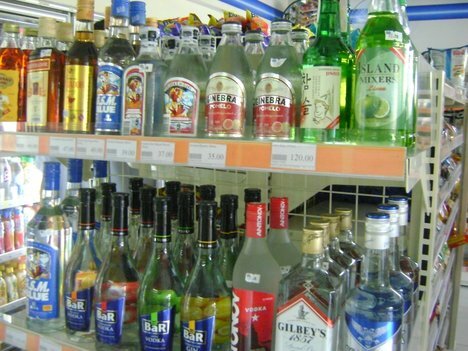 A city ordinance bans the sale and serving of liquors and other intoxicating products near churches, hospitals, schools and public plazas. Earlier, security was beefed up in Cebu City for the Sinulog, one of the country’s major tourist attractions. The highlight of the festival is on Jan. 16. Many local and foreign tourists have already booked hotel rooms in advance for the event. Organizers said some 9,000 rooms in the city’s hotels and pension houses had already been fully booked. Among the guests expected at this year’s Sinulog are President Benigno Aquino III and representatives from Yeosu City in Korea, a sister city of Cebu. The Sinulog is a dance ritual in honor of the miraculous image of the Santo Niño (Christ Child). Anyway, whatever happens Viva Pit Señor!